The cruise ferry Nord Estonia was built in 1974 as Dana Regina and renovated in 1998 and 2002. During the years 1993–1994 she served under the name of Thor Heyerdahl. 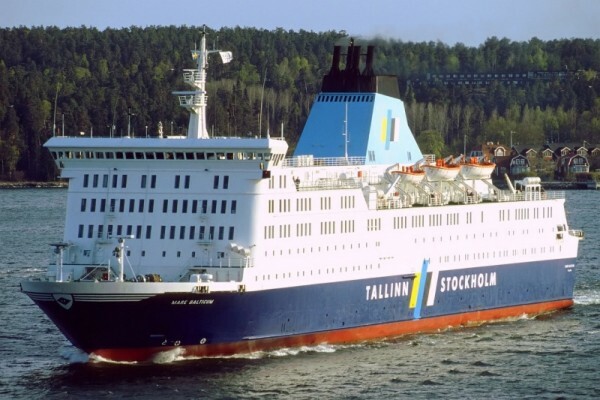 For the first time the vessel came to Estonia in June 1990 as Swedish-flagged and called Nord Estonia to commence traffic on the line Tallinn-Stockholm. At the beginning of February 1993 she was replaced by the MS Estonia. The second time the vessel arrived in Estonia in May 1994 when she started her service on the line Tallinn-Helsinki as Estonian-flagged and called Vana Tallinn. To serve on the line Riga-Stockholm the vessel got the Latvian flag. Her last line was Riga–Stockholm, but in August 2008 she was replaced by Silja Festival during the renewal of the Latvian–Swedish line. The vessel belongs to the Estonian ferry company Tallink. MS Estonia was an Estonian cruise ferry built at Meyer Werft Shipyard in Papenburg, Germany, in 1980. The vessel’s previous names were Viking Sally (1980–1990), Silja Star (1990–1991) and Wasa King. 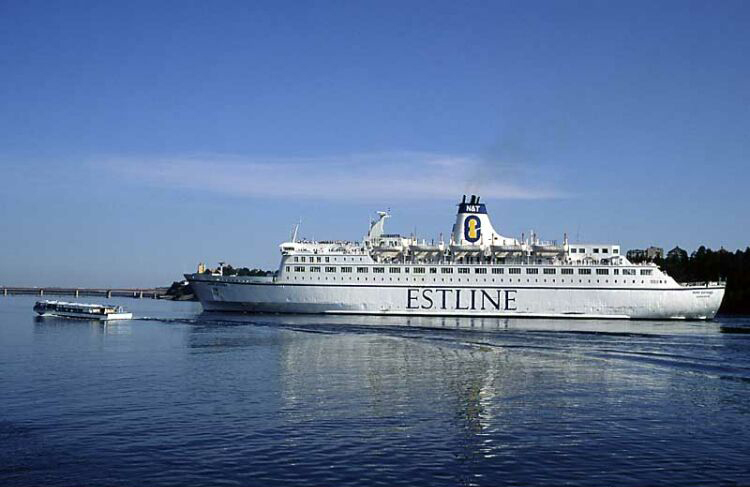 The Estonian Shipping Company and Nordström & Thulin bought her for Estline's Tallinn-Stockholm line. The MS Estonia commenced traffic under the Estonian flag on February 2, 1993. The Finnish shipping company Rederi Ab Slite ordered her under Viking Line’s trademark, and her first name was Viking Sally. The vessel was 155,43 m long and 24,21 m wide, with max possible speed of 21 knots. There were 1,190 cabin beds, and two car decks had room for 460 vehicles. On June 29, 1980 the vessel made her first journey on the route Turu–Mariehamn–Stockholm. She was sold to Oy Silja Line Ab in 1990 and christened as Silja Star. In the same year it was decided to sell the vessel once again and she was owned by Wasa Line, which belonged to Silja Line's proprietor EffJohn International. Her name was changed to Wasa King. Estonians started to show their interest in the vessel in 1992. Under the Estonia Shipping Company that was registered in Cyprus and that bought the ship, there were actually two big companies - Nordström & Thulin from Sweden and the state-owned company Estonian Shipping Company. After a long consideration the ship got a new name - MS Estonia. The last owners introduced a new line Tallinn–Stockholm. On the night of September 28, 1994, going from Tallinn to Stockholm, MS Estonia sank and 852 people drowned. In 1979 Mare Balticum was built by Meyer Werft in Papenburg, Germany, for Rederi AB Slite to be used in Viking Line's traffic. She has also sailed under the names MS Diana II and MS Meloodia. The vessel was ready on March 31, 1979 and got the name Diana II av Slite. The ship was meant to replace Rederi AB Slite’s previous ship, which was also named Diana that was built in 1972 and served until 1979 on the route Kapellskär–Naantali. "Slite" referred to the shipping company. Already in September of the same year the name was registered as Diana II – actually, this had been her marketing name since her delivery. On June 14, 1979 she was put into Viking Line service between Stockholm and Turku, replacing the Viking 4 that belonged to the competing company Rederi AB Sally. The loss of the prestigious Stockholm—Turku route made Rederi AB Sally take action. After a record building time of 8 and a half months, the new ship Viking Sally (later MS Estonia) was delivered and replaced the Diana II on the Stockholm-Turku route. The Viking Sally was partly designed according to the same plans as the Diana II, but with several changes made, the final result was almost entirely different from her. Diana II moved back to Kapellskär–Naantali line until 1989, except for a short period in the summer of 1982 when she temporarily served the route Stokholm–Turku. During her time in Viking Line service, the Diana II encountered a serious incident. On February 5, 1989 she touched ground near Kapellskär and started leaking. Due to her pumping system only operating at half of its capacity at the time, the ship took in a substantial amount of water and partially sank at the shallow harbour. She was soon salvaged, however, and docked for repairs. In 1989 the Finnish shipyard Wärtsilä Marine went bankrupt. Rederi AB Slite was badly affected by it, suffered from a great economic loss and was forced to sell the Diana II to PK Finans, but soon the ship was chartered back to AB Slite and both the name of the ship and the route remained unaltered. In 1992 the economic situation worsened for AB Slite and they had to give up operating the vessel. PK Finans sent her to Trelleborg–Rostock line on December 30. The Diana II served on her new route until September 1994 when she was sold to Nordström & Thulin and Estonian Shipping Company who renamed her Vironia with the intention of putting her into service within the Estline service between Stockholm and Tallinn together with MS Estonia. At a tourist fair in September the name Vironia won the competition that was organised to get a proper name for the ship. On the night of the Estonia catastrophe on board were also crew members of Diana II who were on their way to welcome the ship in Rostock. Before entering a new line, the repairs of the vessel in Naantali were more extended than planned due to the Estonia catastrophe because the bow visor construction of the Estonia, which caused her sinking, was the same type as that of the Vironia. And before that even Diana II experienced the same kind of situation. The bow visor of the Diana II was sealed (welded shut) and a collosion bulkhead (’duck tail’) was added at the stern. As a result of the disaster, the Vironia was renamed to avoid association with the sunken ship due to the similar name. She eventually entered service named MS Mare Balticum on the route Stockholm-Tallinn on November 11, 1994. Two years later, Nordström & Thulin acquired another former Viking Line’s vessel, MS Anna Karenina. She was renamed Regina Baltica and replaced the Mare Balticum in August 1996. 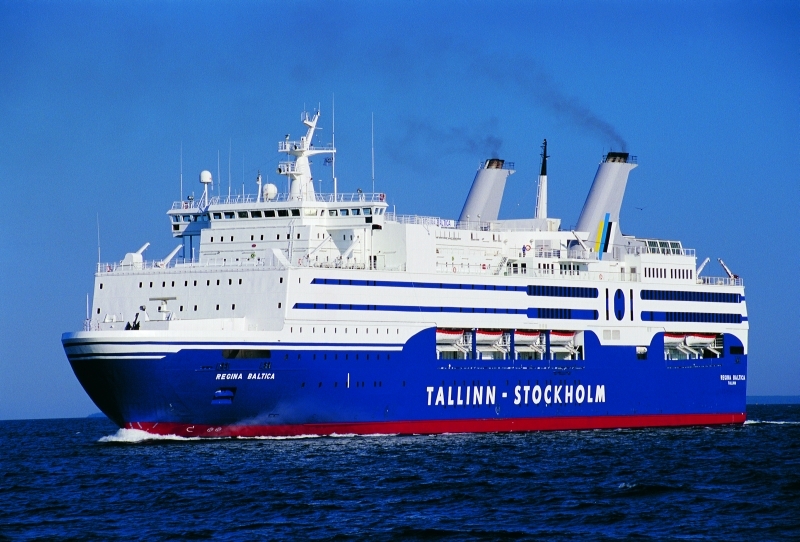 Later, Tallink began to lease the ship and she served on the route Tallinn-Helsinki renamed MS Meloodia. The first trip took place on September 20, 1996, and the last one on December 31, 2006. In 2002 Tallink bought the Meloodia and sold her in November 2007 to a Singaporean enterprise Equinox Offshore Accommodation, which is controlled by Norway. Pursuant to the contract, the vessel reached Singapore in December 2007. After reconstruction she became an accommodation and repair vessel and, thus, is known as ARV 1. MS Regina Baltica is a cruise ferry owned by Tallink. She was built at Wärtsilä Shipyard, Turku, Finland, in 1980 for Rederi Ab Sally and started to serve passengers under the trademark of Viking Line on the route Helsinki–Stockholm replacing her sister ship Viking Saga. In 1985 Fred. Olsen Lines bought her and under the Norwegian flag the ship was called MS Braemar. In January 1991 MS Braemar was chartered to Baltic Shipping Co. and renamed MS Baltica for planned service between St. Petersburg, Russia and Stockholm. This service was never realised, however, and for the time being the only change was moving the ship to Hamburg where she was renovated. Later in the same month the ship was leased by the Russian army to transport troops and military equipment out of former East Germany. The ship, renamed MS Anna Karenina, was badly vandalised by the troops and had to be docked in Hamburg once again for repairs. In March 1991 MS Anna Karenina commenced traffic on St. Petersburg–Nynäshamn–Kiel route for Baltic Line. In January 1996 Baltic Line was declared bankrupt. MS Anna Karenina (soon renamed MS Anna K.) returned to Fred. Olsen for being renovated in Germany for the third time. MS Anna K. was sold to Estline (a daughter company of Nordström & Thulin and ESCO) in the summer of 1996 to serve passengers between Tallinn and Stockholm. She was renamed MS Regina Baltica. In 1998 Nordström & Thulin withdrew from Estline leaving ESCO the sole owner of the company. 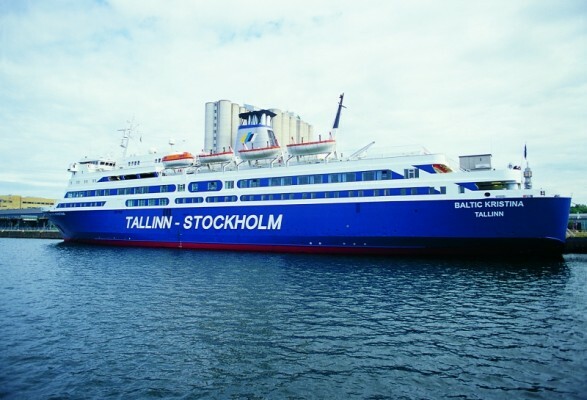 At the end of 2000 the Tallinn–Stockholm service became a part of Tallink. MS Baltic Kristina was ordered by Oy Siljavarustamo/Ab Silja Rederiet (Silja Line) in 1969. The contractual takeover by Höyrylaiva Oy Bore/Ångfartygs Ab Bore (Bore Line) took place in 1971 and was finished the same way as with Bore I by Oy Wärtsilä Ab in 1973. 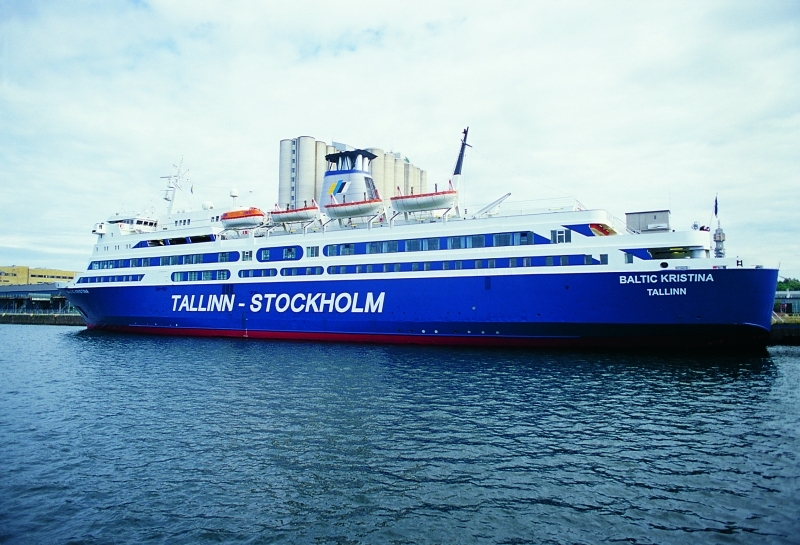 The vessel operated to serve Silja Line on the routes Åbo-Mariehamn-Stockholm and Helsinki-Stockholm. In 1980 Bore I was sold to the Finnish company Höyrylaiva Oy/Finska Ångfartygs Ab (FAÅ) and was renamed Skandia but the route for Silja Line remained the same. In1983 the Skandia was sold to Stena Line and renamed Stena Baltica, soon the Baltic Shipping Corporation (Leningrad) purchased her and called her the Ilich. The vessel operated on the lines Stockholm-Leningrad (now known as St Petersburg) and Stockholm-Riga. In 1996 the Ilich was sold to a Maltese company, renamed Anastasia V and in 1997 to Windward Venture Shipping who christined her Winward Pride. The vessel was meant to serve on the route between Barbados and Venezuela. In October 1997 the ship became Baltic Kristina that operated with Estline until 2000, afterwards with Tallink. In 2002 the ship got the right to serve Riga Sea Line on the route Riga-Stockholm. Now she is called MF Rigel and is owned by Ventouris Ferries.